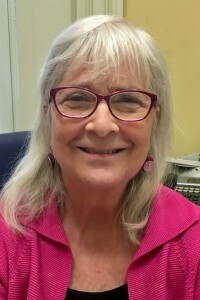 Barbara Terzian is a specialist in U.S. legal and women’s history. She teaches women’s history and other courses in U.S. history from the colonial period through the Civil War. Her research focuses on Ohio’s constitutional history in the 19th century, particularly as it affected African-Americans and women. Terzian, an experienced civil rights attorney, also serves as one of Ohio Wesleyan’s pre-law faculty advisors. She has been listed in Best Lawyers in America, won an ACLU Award for Civil Rights work in 1996, and earned an Ohio Bicentennial Legacy Fellowship in 1997–98. Terzian’s publications include “Ohio’s Constitutions: An Historical Perspective” in the Cleveland State Law Review and “Let Us Agitate: Woman Suffrage at Ohio’s Constitutional Conventions, 1850–1913” in The History of Ohio Law.